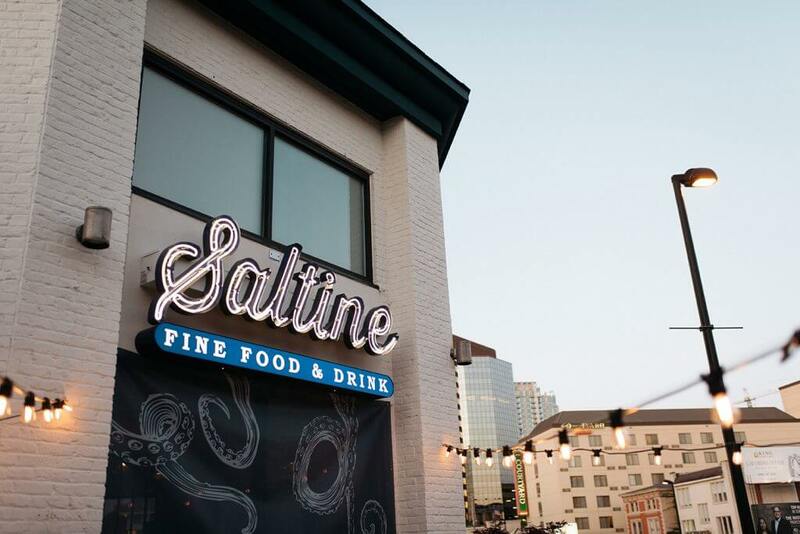 A street level seafood restaurant in Norfolk, VA. Saltine offers a chic, airy space for diners to savor seasonal shellfish, seafood and spirits. 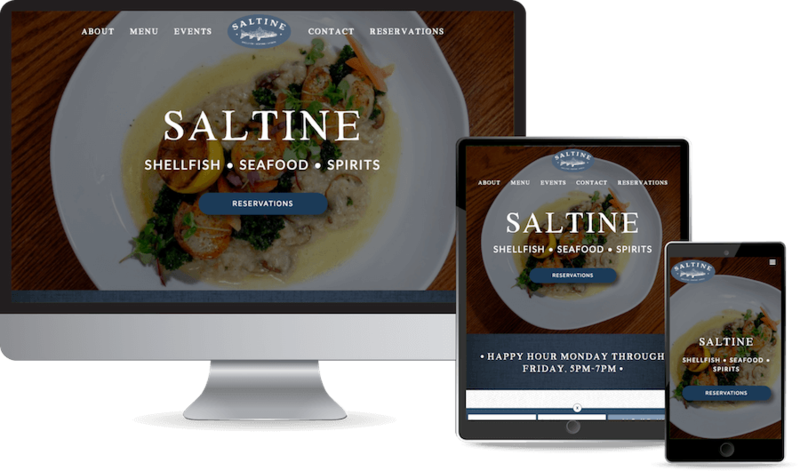 Sometimes we can let the business speak for itself, and Saltine is one of those businesses. With a strong design and mission, all we needed to do was bring those strengths online and showcase what they already do so well. Product, collection and case study templates were designed to be easily duplicated and adaptable to new purposes. Planning and strategies were incorporated that enhance client agency-- allowing complete and efficient site maintenance by the client. With a suite of powerful tools at our disposal, everything from event registration to reservations becomes easy to manage. Research is an indispensable component of powerful web design, so when we find a tool that works well, our clients gain mileage. With Mailchimp Email Campaigns and Eventbrite and Dine-time integrations, site management becomes a pleasure. WordPress, our CMS of choice, is a remarkably potent web platform. Providing high SEO rankings, ease of updates and comprehensive theme customization, WordPress facilitates complete developer/client agency. With these powerful and intuitive tools, clients are able to update their site and maintain their Google search rank after just one short training session. "Our user base has doubled since working with them, and with the new initiatives we're launching we anticipate triple-digit growth again next year." "Greenstone Media has been an amazing partner. They approach each new project and request for adjustment with our true best interest in mind. The service level of this company is phenomenal, Greenstone responds to and resolves our many requests within 24 to 48 hours of communication and keeps us informed every step of the way. Greenstone is your best bet for web services in Western North Carolina." "We hired Greenstone Media to develop an integrated website and online report center. We found them to be professional, creative, efficient, and reliable. I would definitely use them again!"